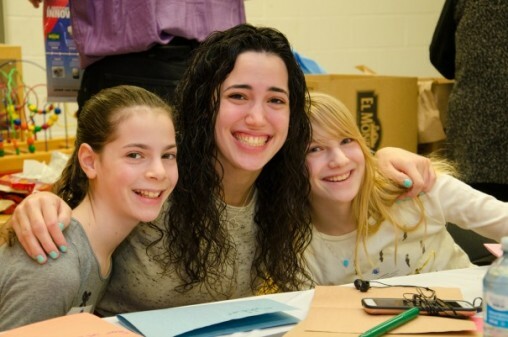 This youth organization offers leadership training, community service opportunities, Jewish education, a connection to Israel, and more starting in grade 6 through High School. Learn more here. Affiliated with Temple Israel and the Reform Movement, FROSTY organizes and runs a variety of social, religious and educational programs and activities for students in grades 8 through 10. Click here for details. NCSY is the youth movement of the Orthodox Union. It's mission is to connect, inspire and empower Jewish teens and encourage passionate Judaism through Torah and Tradition bu connecting to teens on a weekly basis. Visit their website here. Based on the ideology of Conservative Judaism, USY develop programs that integrate Jewish rituals and values into everyday life while focusing on leadership, social action, and relationship-building. Read more here. Find out more about the different shcools, after-school and weekend programs available in Ottawa. Click here for more information. Discover the different teen programs available at the Soloway JCC. From fitness class to joining a sports league, find a program that best fits you. Learn more here. Ottawa has a number of Jewish camps and CIT programs available during the summer. Get more information here. The March of the Living is a two-week educational experience that takes place in Poland and Israel. Hundreds of Canadian students each year mark two of the most important dates in Jewish History. More about MOL.